Our Liturgy and Music Group ensure a sung Mass every Sunday. A wide range of music is used to suit the Liturgical season and a small group of singers meet regularly to practice the music and lead the congregation in song. It is said that “He who sings prays twice!” Please feel free to come along. Although Saint Joseph’s does not have its own school in the parish, children can attend regular classes with parish catechists to prepare for Reconciliation and First Holy Communion. There isOO often a special liturgy for the children at the 9.00am Mass when they enjoy activities and songs based around the Gospel message for the week. Children can feel more involved when they have the word of God broken down into these manageable pieces by the team who are practiced and gifted in communicating with little ones. A number of ladies in the parish, headed up by Angela Thompson, ensure that the church is beautifully and and appropriately decorated according to the season and occasion. 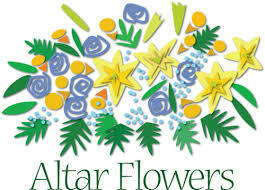 The ladies are glad to carry out commissions for funeral or wedding flowers. If you have a talent for flower-arranging (or would like to develop one) make yourself known to them. St Joseph’s is committed to the safeguarding policies of the Catholic Church to protect children, young people and vulnerable adults from any form of abuse or maltreatment and to promote a safe environment for them. Fran Valetine is the parish safeguarding representative and her telephone number is displayed in the Narthex should you need to contact her.